Not enough hours in the day to complete your projects and follow through on your ideas? Here are a few productivity hacks from our resident Executive Coach, Hans Schumann. Hiring a Personal Assistant is a great way of freeing up your time to focus on core activities in your business. Yet, one of the symptoms of our hectic lives is that, as soon as we free up time at one end, it’s soon taken over by other demands. Executive Coach Hans Schumann suggests becoming a master in prioritising: becoming smarter about the way you use your limited time and letting go of activities that do not add value to your business. Productivity is not just about getting more done. It’s about getting the right things done. Those are the tasks that are most effective in supporting your personal and professional goals. Hans recommends having clear annual, quarterly, monthly and even daily goals. This helps wasting time on activities that seem productive but in reality do little to support your bigger life and business goals. Hans recommends applying the 80:20 rule. Of all the activities you do in any given day, it’s likely that 80 per cent of your results come from just 20 per cent of your actions. If you can identify that 20 per cent of actions in your business, you can apply laser focus to the things that really matter. 3. Start with the big tasks! Often we become side tracked by time consuming activities that have limited impact, for example email checking, social media browsing, online chatting or “quick wins”. Hans recommends starting your day with the big items on your to-do-list that are aligned to your primary business goals and fall within the 20 per cent of actions that will have the biggest impact on your business. Shut yourself off from distractions and hit those actions head on. You can then turn to the less important tasks on your list. If you don’t have enough time left to complete them, that’s OK. You prioritised what’s most important to you. The biggest time-waster in Hans’ legal career was “touching” items over and over without doing anything about them; for example, checking emails but deciding to respond to them later; picking up a contract, browsing it for a minute but then putting it back to move to an easier tasks. Delay it – you decide that it’s not effective to do it now, and you schedule it in your diary for another time. Delegation it an essential skill of any business owner or leader. Become a master at it! To delegate effectively, we need to stop micromanaging so that we free up time for strategic work. Record your regular activities for week and ask yourself: Am I the best person to do all of this? If not, think of people who you can delegate this activity to. Maybe there is someone in your business who would thrive on the opportunity to take over the relevant task or process. Alternatively, hire a personal assistant for a few hours each month, outsource processes or even automate them. What? Taking breaks? How is this a productivity hack? As counterproductive as it may seem, if we take a solid break or enjoy a relaxing weekend, we can calm down, take a step back and return to work with a better mindset and possibly a few new ideas. 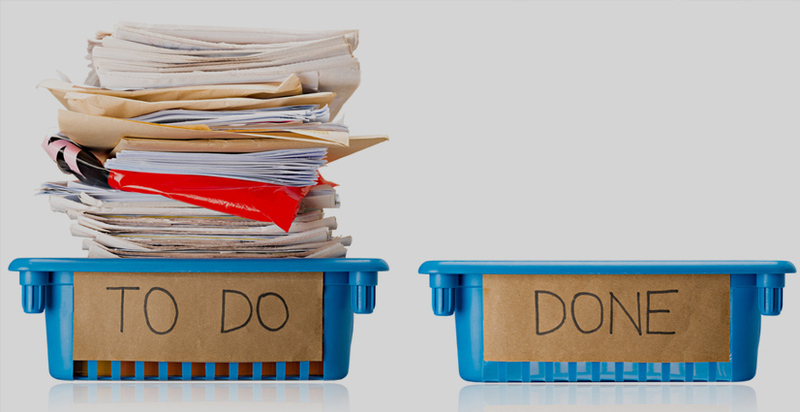 There will always be more to do in your business and it’s easy to become overwhelmed by your workload. That’s why it’s important that we establish boundaries and look after our wellbeing, both for the sake of our productivity but also for our own happiness. At the end of the day, you are the most important asset of your business. Hans Schumann is an accredited coach and published author providing Executive Coaching, Career Coaching and Life Coaching in London and via Skype. Email: info@hansschumann.com | website: https://www.hansschumann.com | telephone: +44 7795450710.